This article explains the benefits of guest blogging and how to do it properly so that you get the best results. Learn how to build backlinks with guest posting and how to get the most from that link. Backlinking is a huge part of SEO. If you’re trying to learn blog SEO and wondering how to get more backlinks to your blog, this post will teach you the basics of guest posting for link-building and SEO purposes. 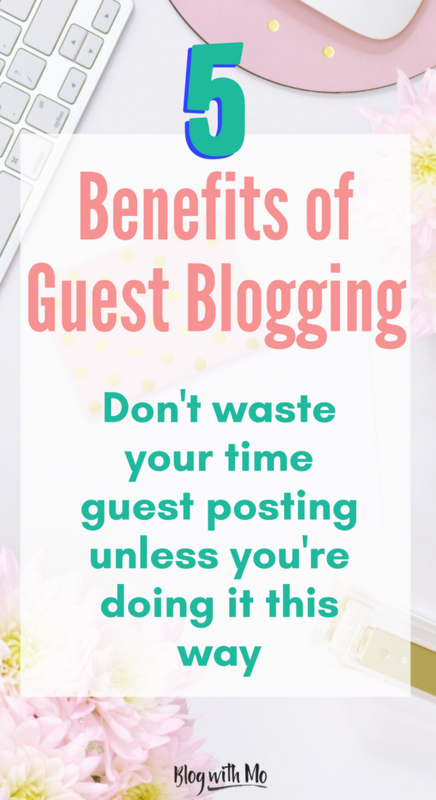 There are a few benefits of guest blogging so we will look at all of them since guest blogging can take up quite a bit of time. As a part of your blog SEO strategy for getting search traffic to your blog, backlinking will be very important in your toolkit. A backlink is a link to your blog from someone else’s blog or website. Google uses these links as kind of an upvote or a “like” for your blog. So if you’re an influencer, you want tons of likes and comments on your Instagram posts. If you’re a vlogger, you want tons of subscribes to your Youtube channel. If you’re a blogger, you want tons of links to your various blog posts from different websites. That’s one very important way that Google determines the quality of your content. It sees this as your content being so good that other people link to it. “Whoa, you’re an authority on this subject, let me put you high in my search rankings!” – Google. But, you don’t want just any old backlinks, oh no my friend. Just like we can all tell when an influencer buys a bunch of fake followers, Google can certainly tell quality backlinks from trash. That’s where guest blogging can be a huge benefit to you. Guest blogging is submitting a blog post to another blog or website that isn’t your own. You provide that site owner with content, saving them time and effort if it’s good quality content. In return, they give you a link back to your own website as the author of the post. That link back to your post is the gold, the main reason why you would want to spend your time writing guest posts in the first place. But that link only makes sense in some cases. We’ll talk more about that later. There’s lots of talk about guest blogging being dead. Some people would rather host that content on their own website, especially if your content creation process looks anything like mine and takes a good 3-5 hours. But guest blogging still has a whole host of benefits to a blogger. And if you’re a writer worth your weight, you’ll know how to spin that very same blog post that you submitted into a totally unique piece of content that you can use on your own website if you really want to or even submit to a few others. I’ve written about SEO in a number of ways already on this blog and I can keep going for a while because it’s a subject I am passionate about. It’s one surefire way to get your content seen and make passive income online. Submitting guest posts on topics that you could talk about endlessly will solve that dilemma for you. So let’s get into why you would want to spend time writing content for other people for free. Certainly, for site owners, the benefit is that they have content coming in that they didn’t have to spend researching and writing. Seems like you’re doing all the work, is a backlink that important? I already spoke above about why you need backlinks since Google sees them as votes in your favour. Here are the other reasons you’d want to guest blog. Your domain authority or DA is a measure by which the SEO authority Moz.com uses to rank websites. How authoritative you are can be determined by many things, one of them being how many people cosign what you have to say by linking back to your posts from their own relevant content. According to Moz, your DA is one of the things that Google looks on to determine who ranks where in their search engine results. When I do my keyword research, I analyse the websites that already rank for the keyword I want to target. If their DAs are all higher than mine, it will be really difficult for me to outrank them. Unless I get lots of quality backlinks to my post. Your DA is also important because it’s one of the things that brands look at when determining if they want to collaborate with you. 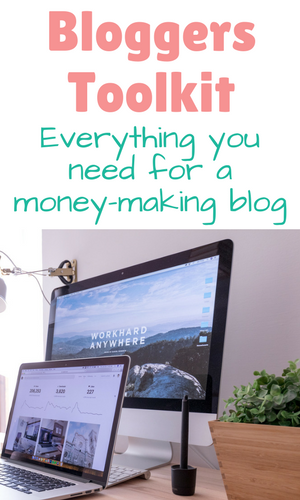 If that’s important to you and a part of your blog monetization strategy, you will want to focus on increasing your DA. It stands to reason that if your DA increases, you will begin to rank high in search engines and so your traffic will also increase. This isn’t automatic though. You will want to be employing a good keyword research tool to help you choose keywords that are high in monthly search volume and low in competition so that you can actually rank on page 1 for these keywords. If you choose awesome blogs with an engaged following to guest post for, then the likelihood increases that some of that audience will filter over to you and a percentage of those that filter over may jump on your email list and become a part of your engaged audience. That’s a pretty sweet deal and so should be one of the criteria you look for when choosing who to guest blog for. More on that in a bit. Blogging can be a lonely field. Everyone at the after-work happy hour can chit-chat about cubicle life but it can be rare to find someone in your social circle that’s a blogger. Every now and then you’ll guest post for someone and the connection turns out to be an awesome one. They may follow you on Instagram and comment on all your posts. They may share your blog posts on their Twitter feed when they see it. They may send opportunities your way every now and then from their own network. 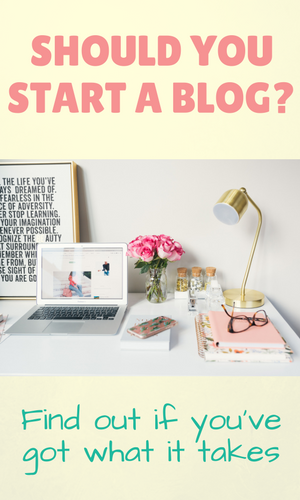 This blogger can be someone who allows you to be an affiliate for their new product. Someone who turns into a friend, who you can share your wins and your struggles with and who will help you out when you have a tech or other blogger related issue and your happy hour buddies are clueless. These kinds of connections are rare but oh so valuable when you find them and guest blogging can be a way to do just that. Of course, when you guest blog, the owner of the blog is likely to share your post with their own social network. This exposes you to not only their blog readers but now their following. Some of these followers may follow you too if they like your content. When you write a guest post, you’ll also usually get to include your social links in the author bio and so this exposes your social media channels to the blog readers as well. This is why it’s important for you to do some SEO and keyword research for guest posts that you submit so that the content is quality and will actually do well. The better the content does for the blog you submit to, the stronger the backlink to your blog. There’s an art to finding the right guest blogging opportunity. 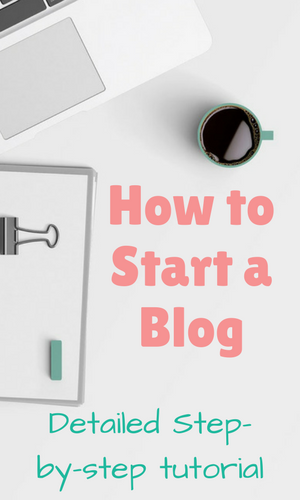 If you’re brand new to blogging, then it’s fine to pretty much blog for anybody because you just want to start building your backlink profile and finding your audience. Their social engagement or general size of their audience. If you want Google to see the backlink as an uptick for you, you want to be guest posting on blogs that have a higher DA than you. Spreading yourself thin by posting on a bunch of low-quality websites with low DAs and little engagement is a waste of time as Google doesn’t really care so much about those links. That’s why you want to stay away from link parties and submitting your site to any type of directory website that’s just a bunch of links on a page. This doesn’t fare well in Google’s eyes and you can actually be penalised for it. My one caveat is if the blogger has an outstanding audience or social media following. 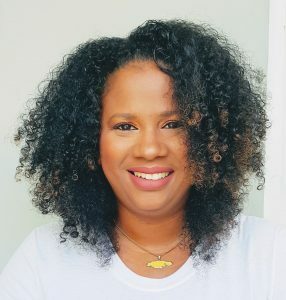 I will definitely guest post for a blogger who has an engaged following since even though the backlink may be weak, I stand to gain lots of exposure on their blog or social media channels. This works well for appearing on podcasts too. Most podcasts write show notes that will give you a backlink to your blog but many times a podcast’s accompanying blog has a weak DA because their focus is on the podcast and not building a quality blog. Which is an oversight on their part. But go ahead and be a guest on a podcast if their listenership is great! This can turn into more readers, followers, email subscribers and customers of your products so that’s still a win. 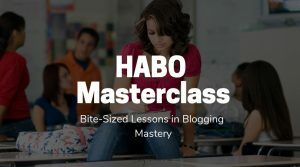 If you’re going to submit a guest post, ensure that the blogger agrees to provide you with a link in the body of your post that’s of a high quality. Like I mentioned in my blog SEO post, anchor text is the words that you actually put the link on when you’re creating the link. For instance, just now, instead of saying click here to read my blog SEO post and putting the link on the words “click here” I put the link directly on the words blog SEO. That way, when Google and other search engines crawl your pages to see what they are about, they will take note of the link and know exactly where the link leads and assigns it the relevant link juice. “Click here” links won’t do you any favours. Neither will a link to only your homepage in your author box do you the greatest good. Your author box is usually all the way at the end of the page in some type of plugin after all the other links on the page. I.E., not as important. Plus, Google has started to not assign importance of links inside author boxes because they know what those are all about. Insist on placing a good quality link in the body of the guest post back to a relevant post of your own or don’t waste your time. A quality guest post that is keyworded well and done to proper SEO standards. Don’t rely on the blogger to do this for you as the post doing well helps you probably even more than them. Guest posting opportunities on quality blogs are hard to come by. For some reason, bloggers are wary of accepting guest posts. I dunno why, I love guest posts on my blog since it frees me up from having to write. Actually, I do know why. It’s because bloggers submit subpar content that’s just not up to scratch. Bloggers can sniff out low-quality content that serves only one purpose, to get you a backlink. If I agree to accept a blog post and then I think it’s trash, I will deny the request so fast. Every blog post that I’ve ever submitted has been accepted with rave reviews because I put so much care into writing a quality guest post that the host will love. I try to make sure the host has very little work to do; they can copy, paste, hit submit and save themselves some work. Remember, something has to be in it for the host. That said, there are three main ways I look for guest posting opportunities. Search Google for “write for us”, “guest post guidelines”, “submit a guest post” and keywords within that variation. That search result will return thousands and thousands of blogs that accept guest posts. If there’s a blog that you want to submit a post for because it would be the perfect audience for your content or product, feel free to reach out to them and ask to write a post for their blog. Quality bloggers get these kinds of emails all the time, from other bloggers, from SEO agencies wanting to build backlinks for clients and from brands. If it’s a brand, I usually begin sponsored post discussions. If it’s an SEO agency I turn them down right away because usually, these types don’t actually want to write a post for you, they only want you to insert a link inside an already written post. Not much benefit for me and against Google’s best practices. Some bloggers do this type of link-only outreach too and I turn them down too. Again, what’s in it for me? But if a blogger asks to submit a post, I’ll check out the site they want the backlink for. If it’s a good quality site then I’ll go ahead and accept the post. Always check out the site that the main backlink will be going to. You don’t want to be linking to a trash site but I love helping other bloggers. You don’t need a pitch template to copy and paste into your blogger outreach email. Be your true authentic self, it comes across more human and less spammy. Simply introduce yourself, detail what kind of content you want to write and maybe how it would fit the blogger’s audience or some other benefit so they can see immediately why they need your post. True human interaction goes a long way in this digital world where everyone’s looking out for themselves. 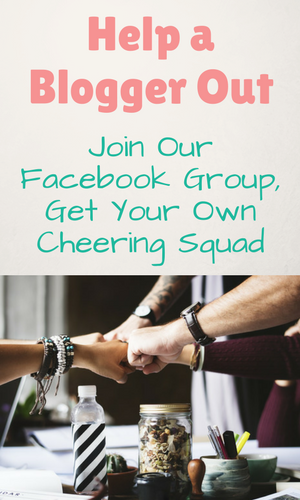 Facebook groups are a great way to get traffic to your blog and to network with other bloggers. Many Facebook groups have a thread each week where bloggers can collaborate with other bloggers on whatever opportunities. Some use the opportunity to try and get affiliates for a product, bloggers to review their products, bloggers to join their Instagram pods or whatever other collaboration opportunity exists. In fact, I wrote this post with the intention of opening a new thread in my own Facebook group for bloggers to allow the community members to network with each other and find guest blogging opportunities. I thought it important to give everyone a guideline since I will be opening up my own lifestyle blog to guest posting again soon. 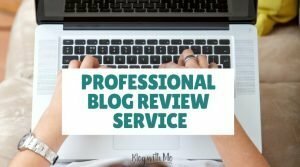 I hope this post helps you to understand the benefits of guest blogging and to figure out how to use it to build your blog traffic and backlink profile. Leave your questions and comments below, I’ll be happy to answer and please share this post with a friend! Thanks for creating this wonderful post. Its explaned guest blogging in a way that showed me for the first time what the benefits actually were (for both sides). I’ve been avoiding doing this because it seemed like a waste of time, now I know that it doesnt have to be. Thanks agian! Great content! I’ve never guest posted and wasn’t sure how. Thanks for the thorough explanation! This was really interesting! I learnt a lot. Your post is very timely, I’m looking for guidance with guest posting and this simplifies it for me! I love the “Guest Blogging Checklist”. Great post. I am just new to blogging and so have hundreds of unanswered questions but this cleared up a few, thanks! Great advice! I haven’t started doing this for my blog yet, but it’s eye opening about what’s possible. Excellent Advice! Can’t wait to implement it. 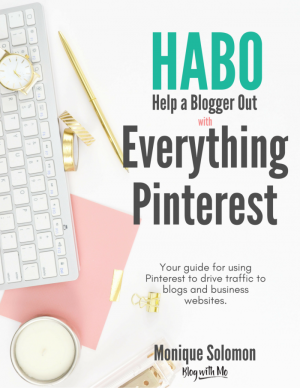 Great tips on guest blogging. I have not done it myself yet as I have not much courage to do so.